A key part of our mission is educating Hong Kong’s youth about social issues in our community. We have been fortunate to be able to do just that by teaming up with the Canadian International School of Hong Kong (CDNIS). This was the second time Twopresents has been able to offer the school’s Grade 5 cohort a real-life case study to enrich their curriculum. We worked with Grade 5 teachers to implement team-based learning over a number of weeks. Students were put into groups and assigned to work on one of our 38 charity partners. Each team’s goal was to learn all about their designated charity and understand Twopresents’ role in reducing gift waste and channeling funds to their cause. The teams learned that hosts could use the Twopresents platform to plan a party and instead of bringing gifts, guests could contribute online to a fund. From this fund the host could buy one big gift and donate the rest to their chosen charity. Once they understood the concept, the team’s main task was to come up with educational resources that hosts could use at parties in order to inform guests about the charity that was being supported. Students spent time researching their assigned charity with the aim of spreading awareness about the cause. They created a variety of materials including, e-invitations and thank you cards for the party and games and bookmarks for giveaways – all under the theme of their specific charity. Throughout the process, students were required to meet with Twopresents representatives (“clients”) to present ideas and obtain feedback. This hands-on case study taught the students about teamwork, research skills, communication, target audience-messaging, quality control, working to deadlines and adapting to “client” needs. With these learnings, students were able to produce materials that were attractive and informative. But perhaps most importantly, they were able to gain in-depth knowledge about the problems our communities face in the areas of education, healthcare, poverty, animal rights, the environment and social inclusion. At the end of the project, the best products were featured on the Twopresents website and shared with the charities. 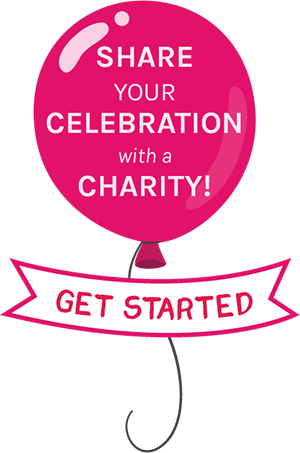 Party hosts can now use them to further educate guests about the work of our charity partners at upcoming celebrations. Working with CDNIS Grade 5 students and teachers has been a most rewarding experience. These children are well on their way to becoming the informed and empathetic leaders our world needs in the future. To view the final student products and use them at your next Twopresents celebration, please click here.